A main part of the mission of the North Shore Unitarian is to inspire actions in the service of life. We do that with acts of service within our congregation, like volunteering to teach in our children's program or singing in the choir. And acts of service beyond our congregation, from participating in environmental causes, to social justice work, to supporting our partner church in Hungary. The next sections describe some of those actions in the service of life. The NSU Community thrives through the many acts of service performed by the members of our congregation. They find many opportunities for service within the congregation and the NSU community. Some of the favourite opportunities, such as teaching religious education classes for our children and mentoring our youth, or participating on one of committees or teams (through which the work and play of our community gets done) are described briefly in the tabbed sections below. Whatever your interests, you will find many meaningful and satisfying opportunities for service within our congregation. North Shore Unitarians have always placed high value on the religious education of children and youth. While we recognize parents are the primary religious educators of their children, we offer programs that support and enhance spiritual guidance offered in the home. The teachers and assistants in our Sunday School program are volunteers who have received training and are supported by our Director of Family Ministries. They are most often people who are “young-at-heart” and who value the energy and innate wisdom with which each child is born. They understand it is their role to guide children on their journeys of self discovery and, in the process, may even re-evaluate their own values and spiritual beliefs. In our cooperative learning community, it is important that our children be able to be in relationship with trusted adults. At the end of their three month commitment, these trusted adults may find that in motivating, inspiring, deeply listening and playing with our children, they have made some life-long friends. Much of the activity in the life of our NSU community happens through the hearts, hands and minds of committees and teams. In collaboration with our able professional staff, these groups of church volunteers work and play in community to create positive change and minister to the world. By doing so, we truly do discover meaning together. Teams and committees are structured into clusters of related activities. To facilitate communication with the Board of Trustees, each cluster is assigned a board liaison. For responsibilities that are more spiritual in nature, our Minister serves as the liaison person. We hope that all able congregants will share their talents and develop new skills by participating on a ministry team or committee. Contributing to one of these teams is a great way to get to know people, and to find fulfilling ways to make a difference. Most ministry teams are open for immediate participation. Some ministry teams and committees require election or appointment. One of our primary tasks in the NSU community is to care for each other. We try to do so from the moment anyone enters our doors. Our Connections team works to make people feel welcome when they first attend. For example, “Greeters” welcome visitors and others on Sunday mornings. They also facilitate an after-service hospitality corner for newcomers. (Look for people wearing Greeters name tags) The Connections team also helps people find fulfilling ways to participate in the life of our NSU community. Our Cares and Concerns team provides support and encouragement to members and friends of the congregation who are hospitalized or recuperating at home from illness, or at other times of special need. They encourage and empower all people within our congregation to do the same. In our Sunday services, we light a candle to recognize all the joys and concerns, spoken or unspoken, within our congregation. If you would like a joy or concern acknowledged publicly during this ritual, write your information in the Joys and Concerns journal in the Sanctuary. Numerous and varied men’s and women’s groups operate within the congregation. These small groups usually meet monthly or bi-weekly in people’s homes. Their purpose is to support each other in the quest for lives of compassion, integrity, responsibility and balance. They offer confidential opportunities for intimate sharing, personal growth, and spiritual deepening. Some of these groups have been ongoing for over two decades. New groups are formed as the need arises. For more information, contact our Minister or Connections Coordinator. Many of our congregants enjoy delving more deeply into our monthly themes in Soul Matters groups. To learn more about receiving monthly Soul Matters materials or to find out about joining a group, contact the Church Office. Unitarians and Universalists have a long history of living their values by service to others, taking actions to better our society and protect the planet. Four of our Seven Basic Principles speak directly so such issues, and inspire us to participate actively in programs of social justice, environmental stewardship, and promotion of greater peace and understanding throughout the world. The tabbed sections below list many of our current programs to promote social justice, social responsibility, environmentalism and world understanding. We hope and expect these programs to grow and diversify significantly in the years ahead. 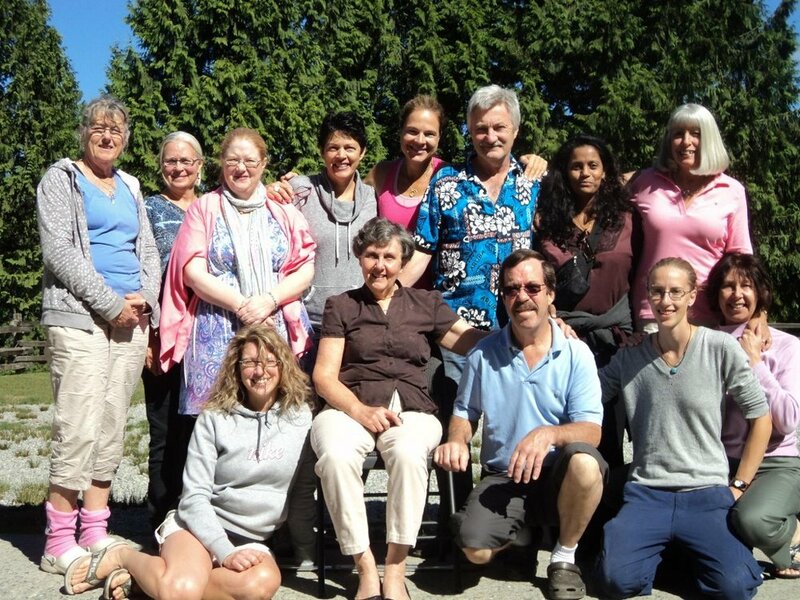 North Shore Unitarians have ongoing relationships with many worthy organizations, both at home and abroad. Our involvement with these groups changes over time, depending on the passions of individuals in our congregation. Our efforts include fund-raising, working on non-profit boards, and hosting special events. Many of our members volunteer directly with the organizations we support. Our Social Responsibility Team explores, promotes, and actively lives the Seven Unitarian Principals within our larger community. We develop projects that offer hands-on participation, such as delivering items to the food bank, organizing suppers for the homeless at the Lookout Shelter, and collecting donations to support Child Haven International. The Social Responsibility Team also researches organizations who might be the recipients of our monthly Sunday morning congregational collections, which are then approved by the church Board. Just some of the many organizations we help include the following. Child Haven International assists children and women overseas who are in need of food, education, health care, shelter and clothing, emotional and moral support. It evolved out of a passion to help others on the part of Canadian Unitarians, Rev. Fred and Bonnie Cappuccino. Child Haven operates several home in southeast Asia. India, Nepal, Tibet and Bangladesh. Their homes accept children who are disabled, parentless or from disadvantaged situations. USC Canada promotes vibrant family farms, strong rural communities, and healthy ecosystems around the world. With engaged Canadians and partners in Africa, Asia, and Latin America, it supports programs, training, and policies that strengthen biodiversity, food sovereignty, and the rights of those at the heart of resilient food systems – women, indigenous peoples, and small-scale farmers. USC Canada was founded by Dr. Lotta Hitschmanova in 1945 as the Unitarian Service Committee of Canada. We have supported the Lookout Society (North Shore Location) in a hands-on way for several years. Each December, we work with the North Shore shelter to gather clothes and other items that their residents and North Shore homeless persons need. In most recent years, we have also presented a special dinner for the homeless at the shelter. Community members of all ages have joined together in our efforts to assist the Society in its crucial work. Our congregation is part of the Unitarian Universalist Partner Church Council (UUPCC), which connects Unitarian Universalist congregations around the globe. We have had a long-standing relationship with the congregation at Unitarius Egyházközség (Unitarian Church) in Hódmezovásárhely, Hungary. The partnership has been extremely fulfilling and educational for all involved.